Well, we asked for it, and you guys did not disappoint! 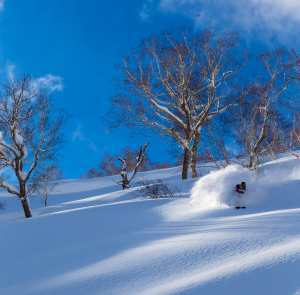 The #Mountainwatchthis clip of the week competition we ran throughout the 2018 Southern hemisphere winter season was a great success, and we enjoyed every single pow slash, corduroy carve, follow-cam, face-plant and ski tour you guys tagged us in! 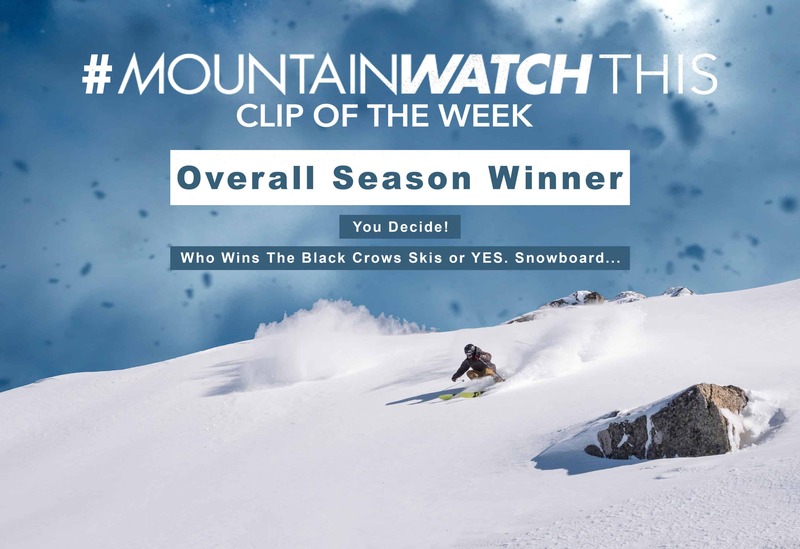 “Introducing #mountainwatchthis – Mountainwatch’s ‘clip of the week’ competition to run for the duration of the Australian ski season – Since there’s no such thing as too much snow, there’s no such thing as too much snow footage. To enter, all you have to do is post your snow clips (60 seconds or less) to Instagram; tag us @mountainwatch and use the hashtag #mountainwatchthis. 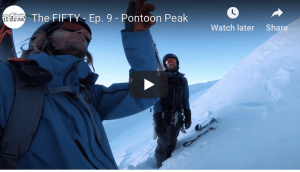 Share anything from iPhone filmed Australian pow turns, heavy snowfall footage or timelapses, your best hero POV shots of you hucking your proverbial meat or your friend or family member double ejecting – preferably under a chairlift. It’s entirely up to you; we just want to see it! The weekly winner (judged by us) will receive a pair of Giro ski goggles and have their clip shared on the Mountainwatch socials. Now that we’ve established all of our weekly winners (and parted with no less than 12 pairs of Giro snow goggles), it’s time to figure out the overall season winner! As mentioned, we want you to select who you think deserves to be the 2018 season winner! For your benefit, we have a showcase video that features all 12 winners plus their full videos have been linked below in consecutive order. Beneath those, you’ll find a poll in which you may vote for your favourite. Without further ado, re-live the 2018 season through the lens of other ‘Mountainwatchers’ and be sure to cast your vote!!! Congratulations to @life.in.the.fields who is the winner of the first #Mountainwatchthis clip of the week with these clips of him slashing the pow. 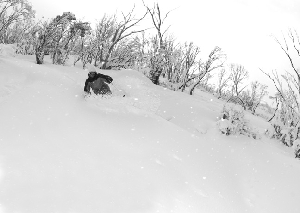 – Other notable entries were: • @gillyy___ • @full_circle_jindabyne • @ian_grant01 The winner each week receives a pair of Giro Goggles and the end of season winner will win a Yes Snowboard or Black Crows Skis. Tag @mountainwatch and use the hashtag #mountainwatchthis to submit your entries! Whether it’s a powder clip, a park lap or an epic fail, we want to see it! Congratulations to our #mountainwatchthis clip of the week winner @redfroggie. Who filmed some very nice lines out at @hothamalpineresort this week to earn himself a pair of @girosnowaus goggles and go into the running for a pair of @blackcrows_skis or a @yes_snowboards. Swipe right to see a highly commended entry from Australian Paralympian @samtait_7, boosting into some @perisher_resort pow yesterday!!! Thanks everyone for entering and keep them coming! The #Mountainwatchthis winner this week is @xander_ with this epic edit of him following his buddy @jyekearney . We still have 6 pairs of @girosnowaus goggles to give away so keep entering in your clips for your chance to win! 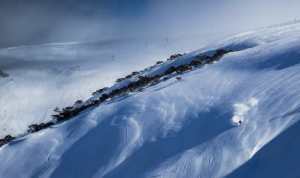 There’s heaps of snow at the moment so get out there and start filming! With all that fresh snow in NZ's southern lakes resorts yesterday we ran out of time to share this week's #mountainwatchthis winner with you all! Congratulations to @Olijeffs who tore apart @trebleconenz in the days before the fresh dump, with some creative freeriding! 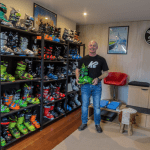 What a different a few days and 60cm makes to the hill… Swipe left to check out how Oli spent his Monday when the resorts were closed because of too much snow…"who said Wanaka wasn't ski-in ski-out! "… Sit tight Oli, there are some brand new @Girosnowaus goggles coming your way! Who do you think had clip of the season? The clip with the most votes in one week’s time will be awarded the grand prize of a pair of Black Crows Skis or a YES. Snowboard (depending on their preference). Absolutely! keep tagging us with #mountainwatchthis and @mountainwatch on Instagram, especially as we rapidly approach the northern hemisphere winter. While we can’t guarantee any immediate prizes (at least until northern resorts open) we are most definitely on the lookout for clips (old and new) to share on our social media accounts!